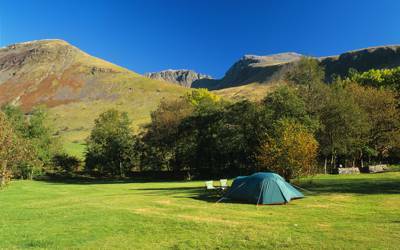 If you’re looking for camping or glamping near Scafell Pike, you’re probably planning on hitting the heights and adding summiting England’s highest mountain to your list of achievements. 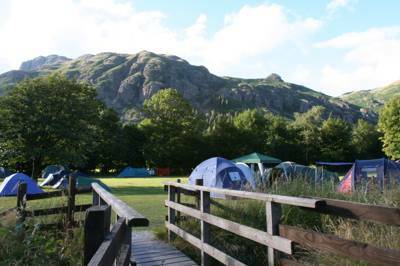 But it’s well worth considering camping or glamping in this park of the Lake District for the scenery alone. There’s something truly special about watching the sun rise or set behind the peaks – and the best way to experience that is by pitching up in the shadow of the mountains. 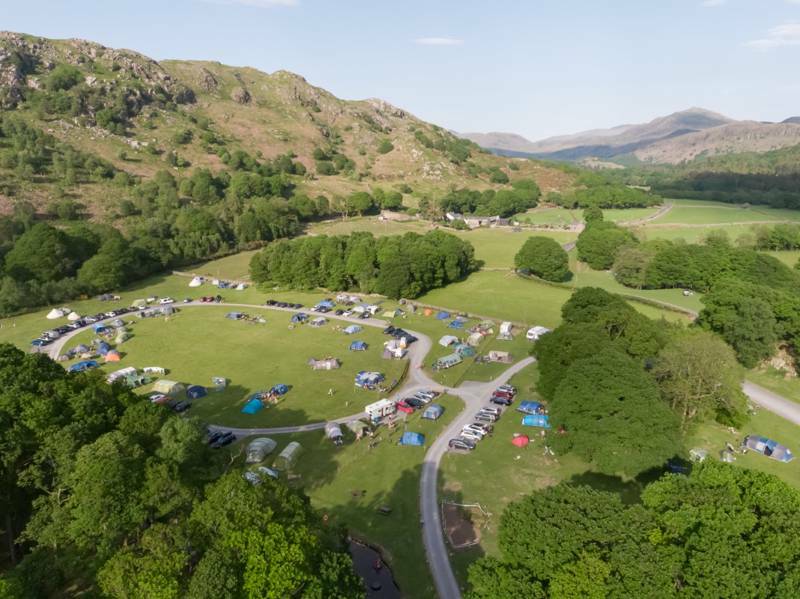 There are plenty of campsites in the area around Scafell Pike from back-to-basics campsites in the Eskdale and Borrowdale Valleys, where you can pitch up in stone-walled meadows with Herdwick sheep baa-ing in the background, to luxurious glamping sites with fancy facilities. 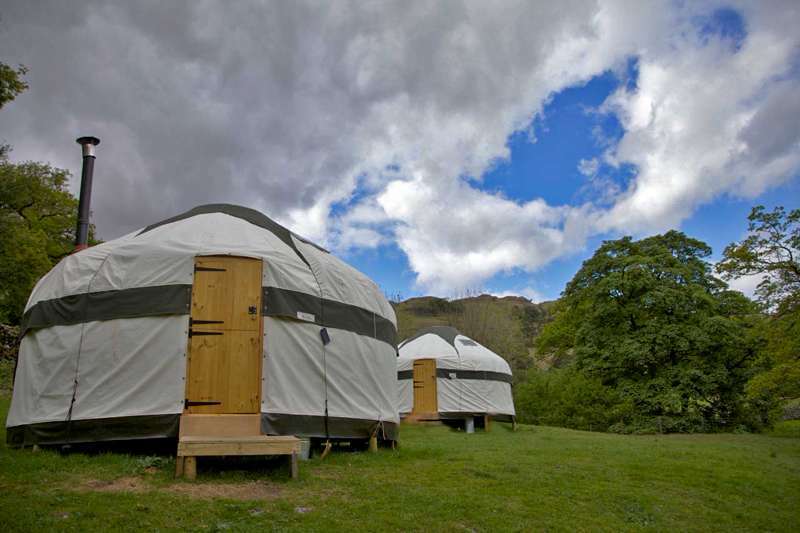 We’ve searched high on the slopes and down in the valleys to bring the best bell tents, yurts, shepherds’ huts, camping pods and plain old camping pitches in this collection of camping and glamping sites near Scafell Pike. The hike up Scafell Pike is top of the list for most people staying in the area around England’s highest mountain. The well-trodden routes to the top are relatively achievable by hikers of all ages when the weather’s good, with other mountains in the national park – Helvellyn, Blencathra and Skiddaw to name but a few – providing bigger hiking challenges. The question is which route will you take? 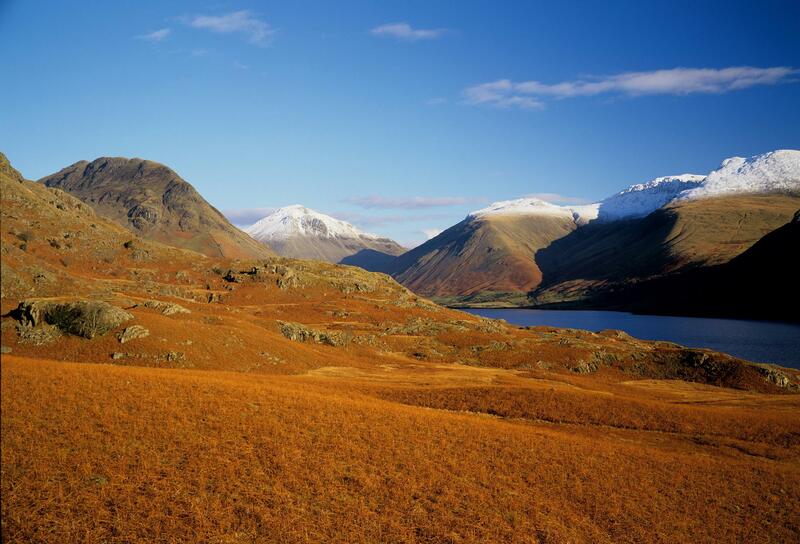 The shortest and most-popular route is a six-mile return trip from Wasdale Head, north of Wastwater with longer and gentler routes from Seathwaite. Check out advice from the National Trust before planning your visit. And if Scafell Pike is a little too daunting, this part of the national park offers limitless other options for fell walking with mountainside tarns and waterfalls as tempting destinations for your trekking. The closest Lake District attractions to you will be determined by which side of Scafell Pike you’ve opted to stay on. From the Seathwaite side, you are close to Derwentwater and Keswick with the famous Derwent Pencil Museum and the Keswick Launch for trips on the lake among the attractions. The Honister Slate Mine, at the head of Honister Pass, is en route between here and Buttermere. Stop off to look around the last working slate mine in England or for some adventure sport on the Honister Via Ferrata. If you're staying on the Wasdale Head side of Scafell, you’re closer to Wastwater and the attractions of Eskdale which include the Ravenglass and Eskdale Railway, Muncaster Castle and Eskdale Mill. It's also the closest part of the national park to the coast. 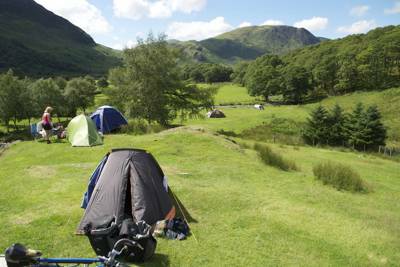 For more information on things to do in the area visit the Lake District National Park website.